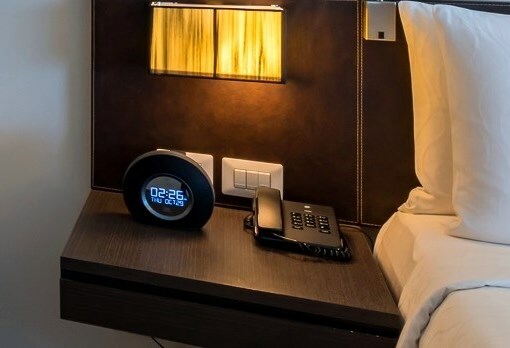 Transforming business travel to a higher level of service, Chatrium Hotels and Residences has launched a Digital Alarm Clock Radio with a Bluetooth Speakerphone which allows connectivity with a guest’s connected iPod, iPhone or iPad. The clock also offers a Charging Port for electronic devices to facilitate guests’ activities during their stay. Stay Savvy at Maitria Hotel Sukhumvit 18 since we have equipped the digital guestroom alarm clock radio with Dual Alarms and Automatic Brightness Adjustment to function as a speakerphone for Bluetooth-enabled tablets called “JBL Horizon”. This Bluetooth-enabled unit allows guests to stream music across the room while simultaneously working on their iPad or emailing on their iPhone. The FM Radio with 5 Presets is another highlight feature. Guests can charge the device by Dual USB Charging Ports plus answer or end calls while using the unit’s speaker for voice communication. Emporium Suites by Chatrium and Chatrium Residences Sathon, Bangkok offers a different smart device, HBN21. 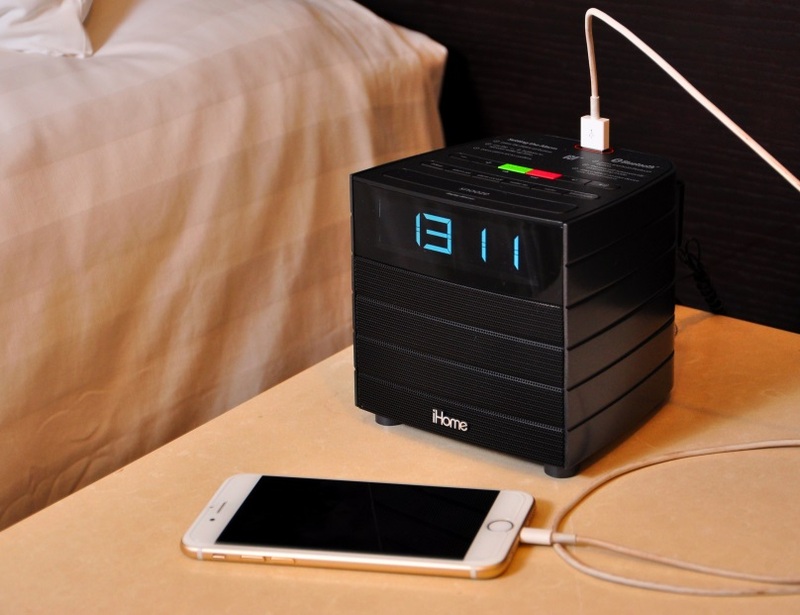 This device offers NFC Bluetooth, FM clock radio, USB charging and speakerphone. The single day alarm prevents guests from waking to previously set alarms from sounding, while the Gentle Wake peacefully wakes guests with gently ascending alarm volume. Guests can stream their own audio wirelessly through Bluetooth and NFC technology which allows NFC-capable devices to connect to Bluetooth instantly. Apart from the Digital Alarm Clock Radio, we realize that today guests are checking in with more electronic devices than ever before, and the first thing they are looking for is a place to plug them in. Our solution is putting more power at their fingertips. With the Charge Port, it’s easy to place the right power connections exactly where guests need them most. 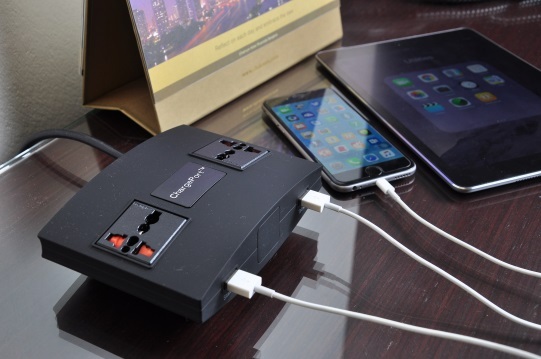 With 2 AC outlets and 2 USB charge ports, Charge Port will charge 4 guest devices simultaneously. All guests can now use the newly installed Charge Port at Chatrium Hotel Riverside Bangkok, Chatrium Residence Sathon Bangkok and Chatrium Hotel Royal Lake Yangon. Chatrium’s goal is to provide in-room electronics that delivers a home-like atmosphere and added convenience to the guestroom. It offers the ultimate in hands-free convenience and communication, enabling guests to relax in their room, enjoy a room service meal, get dressed, work on presentation, or pack for departure all while talking on the speakerphone with sufficient places to charge their devices.